This is one of several posts leading up to our day-long Performing Medicine Festival on April 5, 2014, which will explore the interrelationships of medicine, health, and the performing arts. Register for the festival here. 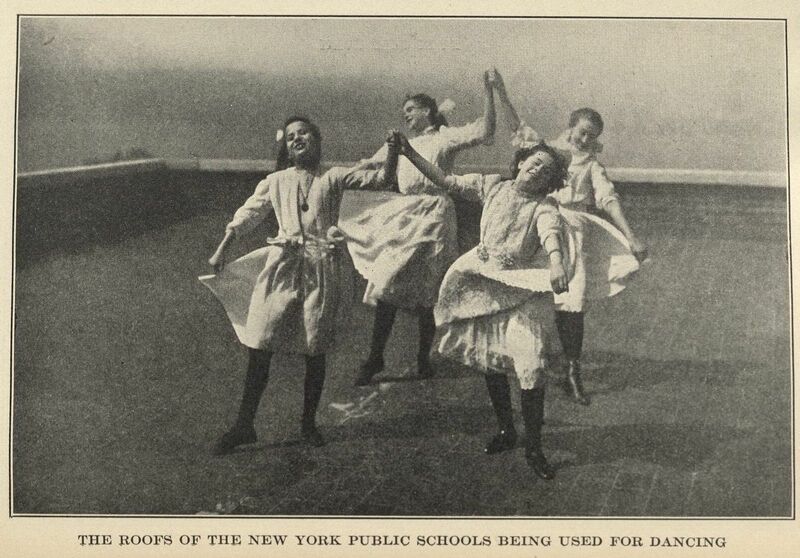 “The roofs of the New York Public Schools being used for dance,” a photograph from The Healthful Art of Dancing. Click to enlarge. 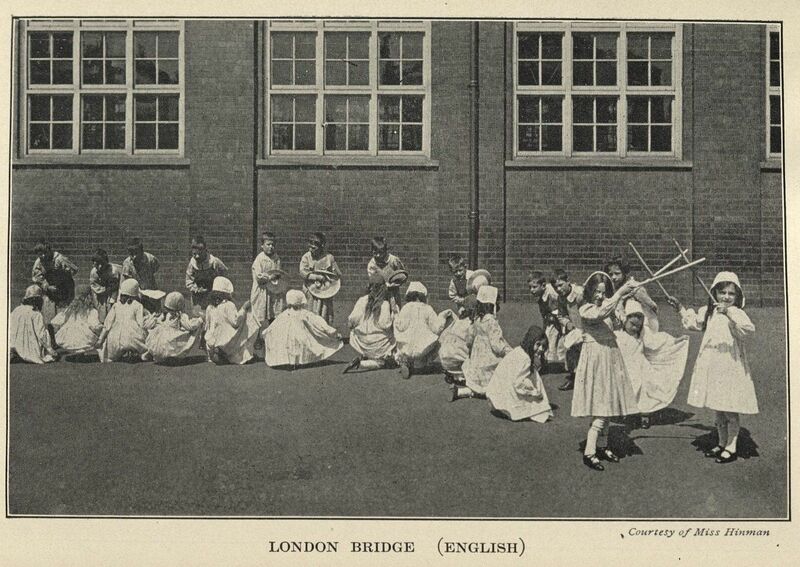 “London Bridge,” a photograph in The Healthful Art of Dancing. Click to enlarge. On the Lower East Side? Visit the Luther Gulick playground and dance in his honor. 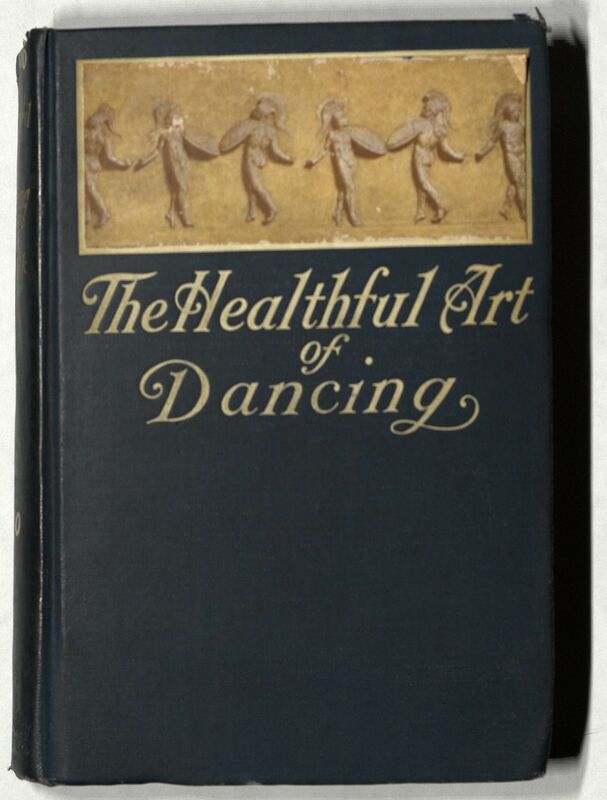 This entry was posted in Collections, Events, History of medicine and tagged dance, dancing, event, Luther Halsey Gulick, New York City Public Schools, Performing Medicine Festival, physical education by nyamhistorymed. Bookmark the permalink. Terrific post on dancing and health! When I was in junior high, we had dancing lessons during a free period. And in high school, we had dancing at noon, after we ate lunch. I don’t remember now how long our mid-day break was, but we probably had half an hour of each. It was fun, and there were very few fat children then.